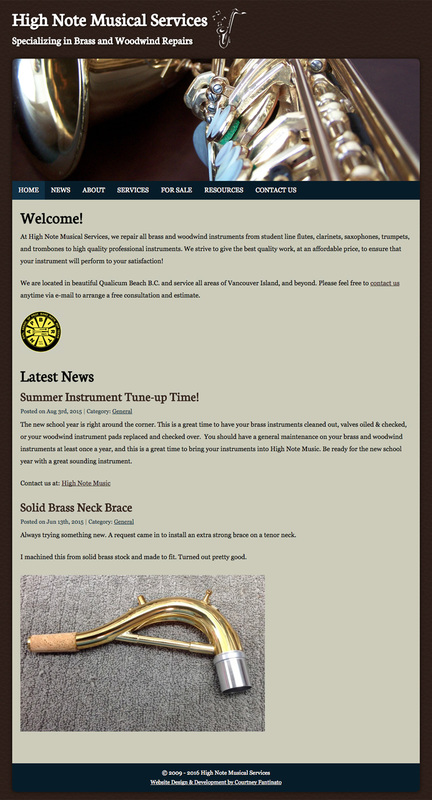 Located in Qualicum Beach on Vancouver Island, High Note Musical Services is a brass and woodwind instrument repair business. Services includes repairs, rebuilds, sales, and more. I designed and developed High Note Musical Services a responsive website on WordPress with a custom theme.